Watching ‘Talisman’, a Malaysian Digital Film Award nominee, it’s difficult not to be impressed with the visual effects efforts of a simple story told well. Researching more about the man behind the camera, we discovered a Sarawakian filmmaker with interesting ideas far beyond the superficiality of such CGI adventures. We talked more with him about his films, the space for faith in films, as well as representations of East Malaysians on screen. For those not in the know, who is Jeremy Jecky in two sentences? Thank you for interviewing me. More exposure for me! Jeremy loves listening to stories and is passionate about sharing his own story to the world, preferably in a cinematic way. What if you had to describe yourself in a word? Idiot. These are some deep questions right off the bat! Mellow might be a better word, actually. Excellent! Let’s start from the start. How did you get into the world of filmmaking to begin with? Was there a particular moment that helped to crystalise this desire of yours? It’s hard to pinpoint an exact moment. I remembered when I was a kid, probably eight or nine years old, I used to really look forward to watching this show on the local television channel, TV2. It was a show promoting new movie releases, but it also showed glimpses of how those films were made. It was really exciting to see what goes into making a film. I didn’t really get into actually making films until much later, around four of five years ago. The actual thing that kicked me in the rear to pick up the camera was because of a break up I was going through! I was looking for a distraction, and I had always been curious about how to make films. Once I started though, this curiosity turned into a full-blown, passionate affair. Well, that was interesting! What happened when you brought this ‘affair’ home? What was the reaction like from your family? Actually, their reactions weren’t negative at all. It started with me messing around with a camera, dragging my brothers along to star in my ‘production’. It still is like that now! My family was always supportive, but it definitely helped my case when my shorts were winning several film competitions that I entered. I think it was like an official seal declaring that I was somewhat competent at this filmmaking thing. Oh, and getting hired to do some freelance work also helped immensely. I’m blessed with very talented storytellers in my family, my father, aunts and uncles. I’m not that great in front of a crowd, so filmmaking was a way for me to tell my stories. Is there a particular film or filmmaker you can pinpoint as the most influential for you? If so, how are they influential? These kinds of questions are tough. There’s so many! 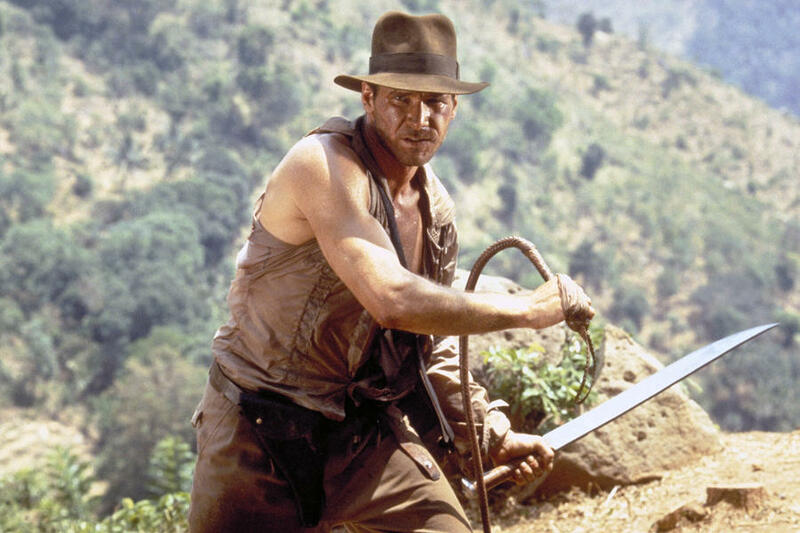 As a kid I loved watching Steven Spielberg’s Indiana Jones series. The way he crafted his films to be like a roller coaster ride definitely shaped my writing process. The audience is a passenger in this trip you’re planning out. Paul Greengrass’ work in the Jason Bourne series is also a major influence. Closer to home, Gareth Evans’ ‘The Raid’ is a major inspiration for me in how to block and film action sequences. Spike Jonze’s film ‘Her’ is definitely in my top five favorite films of all time. This film explores old, worn out themes such as heartbreak, loneliness and loss, but somehow it manages to make it feel edgy and fresh. Speaking of edgy, when it comes to the nitty gritty, technical part of filmmaking, the most influential person would definitely be Ryan Connolly. 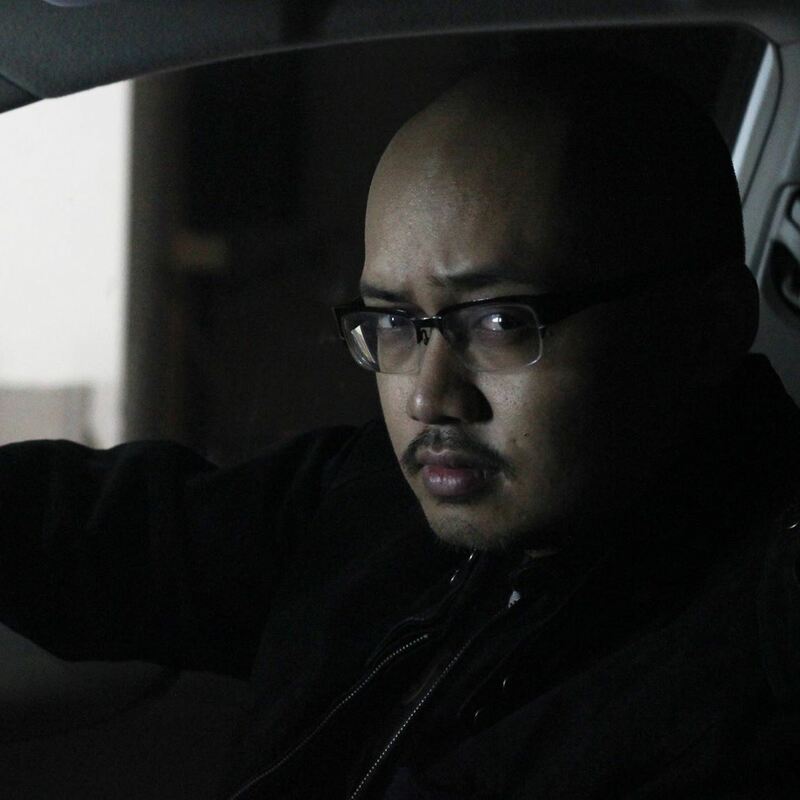 He’s an indie filmmaker and founder of a YouTube channel called Film Riot, a channel that aims to entertain and educate the masses in the art of independent filmmaking. From formatting a script to how to light a scene, I’ve learned it all from this guy. You actually study multimedia and animation at Limkokwing University of Creative Technology in Borneo. What is that experience like for you? I’m in my fifth semester right now in Limkokwing. It’s awesome to be surrounded by people who share the same interest and passion as you do. It might seem like an obvious question, but this still needs asking: how much of your studies are you able to relate to the films you make? Before beginning on any projects for a class, we are always required to visually brain storm our ideas using mind maps and sketches. I never had any actual, proper pre-production experience before, but I’ve learned to implement these steps into my filmmaking process. Having deadlines and structured assignments definitely taught me to organise my workflow better, to be more economical with my time and to not procrastinate (as much as I used to) when developing an idea. The first film of yours I came across was ‘Talisman’. 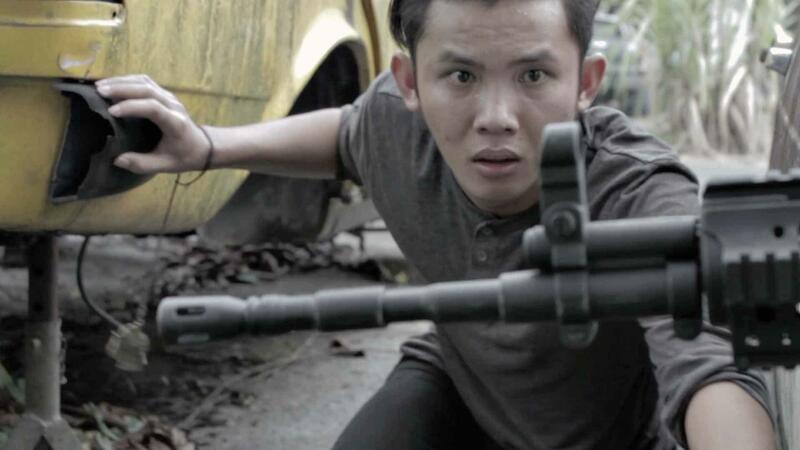 In fact, it was nominated in Best Computer Generated Innovation category at the 2015 Malaysian Digital Film Awards. What sparked the inspiration for that particular film? ‘Talisman’ started off with me wanting to incorporate a few visual effects technique I’ve learned into a short film. The actual plot of the story was my attempt at a circular narrative: a story that ends where it begins. The hardest part about making the film was actually writing it, surprisingly enough. I wanted to keep the plot neat and simple, yet still have underlying themes to ponder on while watching it. That was easier said than done! Post-production was more tedious than it is difficult. In the end, it was worth it, because I thought it was pretty awesome. Can you recall the first time you screened it publicly? What was the reaction like? The first and only public screening (besides having it online) was for my friends and families. They enjoyed it, especially the bit with the two pirates fighting. It’s great to have people respond so well to it. We definitely didn’t expect it to do as well as it did. To me, it was just another fun weekend project with my brothers and friends. Speaking of which, I wonder whether you have a particular target audience in mind when you make your films. For example, ‘Ke Syurga’ was made partly for a church service of yours. How involved were they in the making of that particular film? That was literally my first actual major short film with actual scripts, storyboards, the whole nine yards. It was made for my church’s Easter dinner. They had it played on the projector at the dining hall while dinner was being served. It was made for that particular event, but everyone involved worked so hard on it so I decided to upload it online for more people to see it. What do you think about the representation of religious messages in films? Personally, I find that many such films tend to be preachy, but having said that there’s a number of very good films out there that espouses overtly religious ideals. Holistically speaking, are we not making good enough religious films? I agree with you on this one. Most films with religious messages tend to be one-sided; those who are of that particular faith will praise it, while others that don’t share the same beliefs tend to be turned off by it. I don’t think there’s anything wrong with espousing one’s faiths or beliefs in a film. It’s how you tell it is where the problem starts. A film should aim to first and foremost entertain the audience. The themes and messages should come from the storytelling. A recent example is Alejandro González Iñárritu’s ‘The Revenant’, which tells the story of survival and vengeance. Underneath it all, however, it’s about the cost of man’s greed on the environment and the importance of preserving the world around us. A film works best when the audience discovers its themes and messages. Trust the audience to come up with their own conclusions on the matter discussed. A film should spark conversation on the matter, not try to convert people as they are watching it. Let’s bring it closer to home. 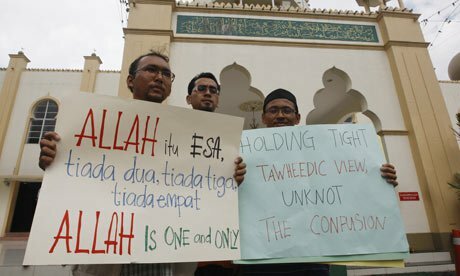 What is your opinion on the state of religious-themed films in Malaysia? Is there much room for such explorations in the mainstream, especially for non-majority religions like Christianity? There’s definitely room for faith-based films. Like I said before, a film can be a great way to start a conversation on these issues. No film, no matter the quality, can ever hope to solve real issues or fully address a topic such as religion. It can, however, give a voice to the minority. It can be a mouthpiece for those in the minority to start a conversation and convey their thoughts on the subject at hand. Similarly, we tend not to see many films depicting the eastern side of Malaysia too much, either. You tackled a bit of this in the film ‘mother/land’. I read the story of two brothers inheriting a land from their deceased mother as a kind of allegory for this. Am I reading too much in this? It was actually an allegory for the infighting among people on issues such as resources and economic wealth, but when I was writing it, I only meant it to be infighting among Sarawakians. However, I can see how it fits into Malaysia as whole now. In a recent interview with CQ magazine, Jasmine Suraya Chin, a performer who hails from Sarawak, said, “It seems as though the East is sold as some kind of holiday or an exotic place, hence the West often feels as though both states seem so far away when really we’re not that far away from each other.” What do you think is needed to change this perspective? The best way about it is to create opportunities for Bornean filmmakers to tell their story. This place is rich in lore and history just begging to be told. To have the people of this land share their story through their eyes would help immensely. I think East Malaysians play as much of a role, if not more, in changing how they are viewed to the world. You may yet have a role to play in this. In the film ‘Lakin’, you documented the somewhat dying art of a traditional musical instrument. What kind of impact do you think filmmaking has in the preservation of such traditions? Everyone loves a great story, to find out how it unfolds and what happens to the characters in the end. A straightforward, informative documentary is good at giving out detailed information, but it’s hard to get people excited and riled up when you’re doling out the nuts and bolts on the subject. A cinematic documentary helps shape a narrative that get people to at least be curious about the subject matter. That’s all it takes, for people to be curious about these traditions. Having said that, it’s not all without its perks. 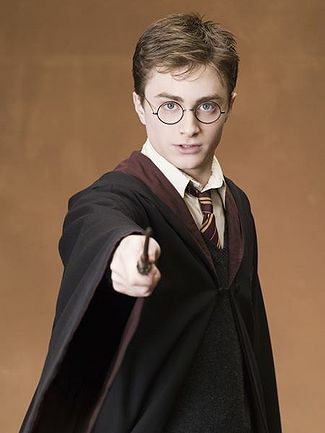 One of your videos was a magic wand battle inspired by Harry Potter! It was incredibly well done, and so much fun to watch. Which of your films have been the most fun to make, and why? They’re all equally fun to make! I can’t really say, because I enjoyed them all. It’s most fun when everyone in the crew can just stop for a brief moment and laugh at this absurd thing we’re doing, which is basically an immaculately planned out game of cops and robbers. It’s all a pretense, but somehow, somewhere along the lines, it all becomes real. On that note, describe to us the most rewarding moment in your career thus far. I would have to say having a promotional video I made for Sarawak Tourism Board screened at a travel fair event in London. My friends and I literally climbed mountains to film that video, and to see it travel far was really rewarding. Based on your own experiences, what would you say to those who are interested to be involved in filmmaking? Grab whatever and whoever you have around you and make a film. It won’t be great, but the important part is to get up and just do it. Find people with similar interest. You cannot be a one-man band forever. Find what you’re good at and hone that skill. Some filmmakers are great with cinematography, while others are excellent writers. To make a feature film. That is my end goal right now. Every project I take on now, every connection I make, are small steps towards realising this goal. We started with this, so let’s finish with it: how would you describe films and filmmaking to yourself in a single word? You can check out his films on Viddsee. Also, check out his YouTube channel for more.